After changing jobs nearly a year ago I found myself in need of a new laptop as I had handed back my corporate Sony Vaio and that left me with an old heavy weight dual core laptop with Windows 7. I had wanted to try a Chromebook before and had seen several on demo stands at Citrix Synergy in LA. Having already moved over to Google apps where I keep docs, spreadsheets and pics, a Chromebook seem to be a logical move and I didn’t want to splash out hundreds of pounds in a Windows laptop with bulky updates and AV to maintain. I had been using Google Docs to do some online coursework and found it very easy, reliable and was accessible on laptop, PC and my iPad. So I set about reading up on product reviews and found some very capable devices ranging from cheaper sub £200 devices right up to the top Google Chromebook and HP models that come in at at £500-1000 pounds. A bit pricey for a first timer I thought. My old Sony was very lite with a dual core i7 CPU with 8GB Ram and a touch screen for £650 – a cracking price at the time some 5 years ago now. In the end, I settled for a Acer Chromebook 14” with the full 1080 Full HD Screen and 32Gb local storage. Not a lot – but then Google kindly threw in an additional 100GB of online space. When I went into my local PC World they made a big deal about telling me that the Chromebook didn’t have any Microsoft Office apps, and that it could not install any. This is not a problem to a Citrix guy, and a quick demo of published Word and a virtual desktop had them well impressed. I did try Word on Office 365 but was very disappointed when doing some documentation and found that Word was missing the Table Of Content feature and prompted me to download and instal the full application for local install. Google Docs just has it, and the ability to share docs from Google drive makes for easy collaboration. You can even have multiple people editing the same doc at the same time. Google Docs, Sheets and Slides is pretty much all I need. Business mail can stay in Outlook Web Access, and I’m writing this in Docs now before uploading to my blog. As nearly all my work-work is designing, setting up and implementing Citrix virtual solutions, a Chromebook is a perfect tool for the job – both at home, in the office and on the move. Google Docs can be used offline – so I can work on the train with no connection quite comfortably. If I need Office or other business application – I just login to a Netscaler Gateway and launch any apps using the latest Citrix Receiver over HTML5. This is a great way to run published apps as the Receiver puts the apps along the bottom in a toolbar style – almost like running a full desktop. Google Chrome web store has a load of techie apps including RDP connector, notes, screen snipping and even network troubleshooting tools. There are loads of others. This little Acer has a great screen with 14” full-hd, 4Gb RAM, and a nice keyboard, though it’s not backlit. Battery life is amazing at around 12 hours. Its silent, has USB3 and HDMI for external screen. The casing is finished in silver metal much like a Macbook Air and overall I’m very please with the quality for only a £300 layout. I could nearly buy four of these Acers for the price of one Macbook Air. As for not having touch screen laptop – well, that novelty has passed me by. I have tried a Microsoft Surface – but I just don’t get Windows in tablet mode. Sorry, but I prefer the traditional laptop model, and would certainly prefer a £300 14” Chromebook to a 13” Surface Book for £1300. I’ll keep using my Android phone or iPad if I need a tablet for other content. For business users, I would definitely recommend giving Chromebooks ago. They can be centrally managed via Google MDM type service, and if you’re using Citrix already or moving apps to web or SAAS models – they make a great option for BYOD or CYOD without breaking the bank. This may be the first laptop that I buy twice, but there are plenty of great models to choose from. So how has that initial POC been going? After a year of production use the general feedback from the end user has been very positive with few calls to the customers helpdesk and no real issues passed onto me. With users designing detailed multi layer automotive diagrams from a country on the other side of the world – it’s been a very successful deployment. This year has lead onto a couple of new installations. One local customer wanted to use AutoCad on XenApp 7.8 servers running a shared desktop on Windows Server 2008 R2, and some standalone virtual PCs running Windows 10. Provisioning Server 7.8 was used to spin up some 10 XenApp servers. This solution is for students – so the need for intense graphical rendering is somewhat lesser than what you would need in vehicle design or in construction. Having a NVidia vGPU shared across some 15 users is a great way to introduce CAD beginners to the tools and apps they will use later in their career while the the system itself is very capable of dealing with all they can throw at it. The XenServer buid was 6.5 and completed just before v7 was released. A pair of Dell R710 servers each with 2 x NVidia K2 cards. One thing to look out for is that Citrix XenServer does not officially support installation on SD cards, unlike other hyper-visors. While it will install and works ok – the OS footprint of v6.5 and v7 is noticeably different. Stick to a local pair of hard disks in a Raid 1 mirror so there is plenty of room to upgrade to the new OS – and make sure the server comes with a Perc Raid card..and right cable. Don’t ask me about getting those later! Another recent build on a Dell Precision R7910 Workstation was completed with XenServer 7, XenDesktop 7.8 and PVS 7.8. The Workstation technical spec is actually better suited to multi user CAD than the equivalent server. Again, the customer was looking to run AutoCad Revit on a pre-built Windows 7 virtual machine imported from Hyper-v. All possible! The big Dell itself had two NVidia Grid K2 cards, eight 400Gb local SSD drives, eight NICS and loads of RAM. With no students in sight, this time the solution was for serious users. Designing and constructing world class buildings around the world needs decent hardware and graphics – no XenApp this time. The initial import of the virtual machine completed with no issues, but we then came across some boot problems after importing the local C drive up to the PVS to create a vdisk for multiple devices to use. With recurring BSOD – initially this was suspected to be due to ghost network cards in the Device Manager. True enough, there were a few extra cards listed in there from the previous hyper visor build and and from a Cisco VPN adapter. Once removed, booting was better – but still the occasional blue screen. Closer analysis of the error and some Googling turned up some hints that AV was interfering with the PVS-TFTP streaming to the disk less clone. With some further digging we found that AV was being auto-deployed on boot from an inherited Group Policy. Once disabled – the boot issues were no longer present. The size of the vdisk also posed some problems when scheduling reboots in the Studio Delivery Group. Due to the size, other devices were struggling to boot up as the first one or two PCs were still streaming. This was resolved with some help from Citrix support who suggested a PowerShell script to increase the time between each machines restart and boot. This worked a treat. Also very helpful was a hands-on customer keen to get to know all the components – who patiently worked through many of the issues after I had left site. Many thanks for that. It may have been said before, but the feedback from this customer’s end user was again – “Better than the physical PC!”. Citrix and NVidia Grid – Pretty awesome. With many customers upgrading to Citrix StoreFront – I have been asked several times how you go about getting older Presentation Server 4 farms (Yes, its still out there!!) to work and present the apps inside your StoreFront. Don’t forget these apps , operating systems and the PS4 platform will be long out of support, but still in use for legacy reasons. The same fix applies for Web Interface 5.4 and comes from two settings that you need to change – which refer to Launch References. C:\inetpub\wwwroot\Citrix\Store\web.config – and search for the two settings – set the same. Then go to a admin command prompt – and do IISreset. In StoreFront, add settings for a additional farm under Manage Delivery Controllers. Then go into your desktop Receiver, and refresh the applications – and test the app works. Above, I tested an old copy of Visio from a 2003 Citrix server with Presentation Server 4.0.through latest StoreFront v 3. Microsoft Key Management Server can be a tricky role to setup, but it’s an important part of a solution that needs deployed carefully in AD and configured for Citrix virtual machines booting from the same vdisk. There are lots of detailed articles on how to setup KMS, and trouble shoot issues – this is a very quick guide to the main issues I have came across when setting up 2012 Server and Office 2010 and 2013. This guide assumes you are using Windows 2008 R2 or 2012 server, and either Office 2010 or Office 2013 – and that you have created a vdisk from a gold-image build. The downloaded media maybe KMS or MAK – but needs to be KMS for Citrix Provisioning Server in most scenarios. The same steps apply for 2012 Server. The KMS product licenses for your organisation must be install on a KMS server in your Active Directory. For Windows 2012, and Office 2013 – you will need the Office 2013 Volume License Pack installed on the 2012 KMS server hosting that role. I would also recommend the Volume Activation Management Tool (VAMT) is installed. This is very helpful and enabled you to see what clients and software have registered and been granted a license. The tools are part of the Windows 8 deployment kit. For PVS machines, KMS clients keys are required for the OS and for Office 2010 and 2013 – each version (ie Professional, Pro Plus, Std) has its own KMS or GVLK (see References). If you have Office, and separate licenses for Project or Visio – you need to add these separately. Shutdown – Set vdisk to use KMS, then reboot. “VOLUME_KMSCLIENT” will now be listed, along with the Partial Product Key – the last 5 digits of the generic KMS client key. Install the Office KMS keys using the ospp.vbs script – located C:\Program Files (x86)\Microsoft Office\Office14 (eg Office 2010 x32) – of search for the location and move there in command prompt. You should see a “successful” message to confirm this has worked. Type “slmgr /rearm” – a pop-up should return a successful rearm message. Do not reboot when prompted, shutdown. Go into PVS and set the Vdisk to KMS, then restart. Provided your KMS server has licenses, your VMs should now be able to ask it for a KMS key, and activate successfully. Note, server clients like 2008 and 2012 require 5 machines to register before the server actually dishes out the license. So, you may need to spin up 5 PVS devices, even if you are only using 2-3 devices in production. Check in the machines system properties to see if it has been Activated. Or, you could make some of your management servers use KMS ie a StoreFront server, or Delivery Controller. Office 2010/2013 has similar requirements in terms of numbers, while Windows 7 machines in XenDesktop need 25. Office 2013 Volume License Pack – install on KMS server. There are several different models of subscription for Citrix ShareFile, namely Basic, Professional, Corporate, Enterprise as well as Virtual Data Room (ShareFile,2015) – all charged on a per users bases with options for monthly or annual charging. A personal account with 100Gb storage will cost you about $15 per month, rising to $100 per month for 5 business users with unlimited storage. This give you access from almost any type of device. In addition to these options, customers who purchase Citrix XenMobile Enterprise Mobile Device Management, or WorkSpace Suite ( XenDesktop, XenServer, XenApp, MDM etc) also get ShareFile Enterprise as part of that bundle. 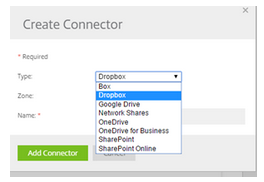 As the name suggests, ShareFile is a file and document sharing tool like DropBox or OneDrive. Using a web browser or other ShareFile tool, users can upload or download files and folders, easily share with other colleagues or provide a link to external contacts or project team members. Clients for Android, iOS,BlackBErry and Windows Phone cover most of the mobile devices while PC and Mac tools include local sync, Outlook Plugin and a drive map capability that behaves just like a mapped network drive. Recently a ‘Print to’ capability has been added to allow you to print a PDF straight into your personal space (Citrix, What’s New 2015). User features include web portal ‘Custom Branding, Unlimited Client Users, Mobile Apps, Desktop Widget,Multi-factor Authentication, Sync, FTP, Versioning’ (ShareFile,2015) as well as 24/7 telephone and email support. The Enterprise product adds encrypted on-premise storage. By adding an internal Storage Zone controller, larger customer can attach a local disk resource and turn it into a ShareFile space. They can also add Connectors to access (and migrate) Dropbox, Google Drive, traditional file shares, and allow users to browse, edit and update SharePoint documents. 3 – Client device – PC/Mac, Android,iOS,BlackBerry,Windows Metro etc. 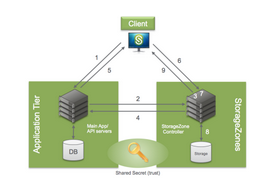 ShareFile Broker – connected user to files and shares. Customer can select to store files on Citrix managed AWS or Azure cloud with client managed StorageZone servers hosted in Azure or in the on-premise data centre, and select a .com or .eu region based on their data regulations and makes use of AWS storage. The customer managed StorageZone controller provides the secure brokered connection from the Citrix SaaS cloud resources. This requires a one time setup, that enables users to access the internal encrypted file store, and network shares. A number of administration options are available in the web portal, including custom branding, password policy control, reporting and device security options. A User Management tool can be setup to provide automated creation of users accounts. 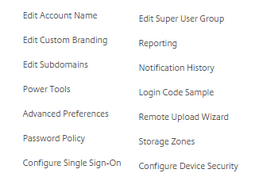 After checking Active Director for new additions to a ShareFile AD group – the User Management tool, running on the customer network – provisions the user on the Citrix cloud resources with a matching password. Additional SAML authentication can be configured via a NetScaler URL to enable Single-Sign-On (SSO). There are a wide range of ShareFile integration options including WebDav, and ShareFile API tools for developers to customise web and intranet sites, as well as SaaS vendor plugins including SalesForce,CodeGreen,DocAuto, Microsoft ADFS,Ping. Integrating with Point.io enables connections to other vendors pruducts such as EMC Documentum, IBM FileNet, OpenText, HP/Autonomy WorkSite iManage (Citrix,2015). GoToMeeting,Podio and XenMobile and RightSignature are also closely integrated with ShareFile, as you would expect coming from the same vendor. A new Office 365 connector is also available, and even a client for Apple Watch (Citrix 2015). It’s always exciting to get your hands on some new technology that breaks the mold when it comes to deploying VDI and applications on Citrix. For years, using CAD and high end graphics has been a no go area on shared desktops hosted on Presentation Server or XenApp. The best you could probably achieve would be CAD viewer for some light review work – no chance of full blown Auto-Cad or video editing software. You really needed to keep your big workstation PC or MAC with expensive hardware to do any serious work. More recently though Citrix have been able to connect you into dedicated PCs or blade-PC hosted in you data center with much improved graphics and capabilities for rendering images and video. We have had some success with this in hospital environments where medical staffs can remote in to their desktop and review x-ray and other patient videos from their home PC of tablet. NVidia GRID and XenDesktop really do change the game. With dedicated Graphics Processing Units that you can allocate to your Windows PCs – the days of using hardware PC or blade PCs are banished. The NVidia cards can be fitted into a server running XenServer 6.2. A XenServer plugin then allows access to the GPU and the XenDesktop Agent talks to the hardware. The result is quite spectacular! The POC I have been working on recently involves users in India accessing a XenDesktop Windows 7 PC in a server room in Northern Ireland. That’s a looonnng way away to be using a CAD application over a 3G connection. Results? “Better than a desktop PC” was one user’s feedback. Make sure you have all the cards, cables and components to put in the server. Check you have enough network ports, and switch connections for storage. I was using HP DL380g8 servers with 2 NVidia GRID cards per server. To fit these, you need to order alternative PCI riser cards with cage from HP – and you need two different parts. One has an additional PCI slot, the other has not. The additional PCI slot is critical as you need this to facilitate another PCI card – in my case a HP dual port HBA for connecting to the fiber channel SAN. Without this, you’re pretty stuck with only local storage, unless you’re using iSCSI perhaps. You’ll also need a set of torque screwdrivers as the cages (that house the NVidia cards) have tiny screws that would be easily damaged if you try to force them loose with something else. It’s also worth ordering your server with on-board 10GB NICS instead of the standard 1Gb NICS. This will provide better connectivity that the standard 4 port 1Gb NIC card. To fit these new risers and cage – you need to remove the CPU heat sinks and grab handle on the mother board and replace these with new ones that fit with the cages. If your happy enough to do that, make sure you have an anti-static wrist band and be very careful not to drop any screws into the server. If you have all the cards, cages and cables – you can do it all in one go instead of having to rack and stack the servers and then come back and have more downtime. BIOS – After installing the cards – go into the BIOS and make sure the on-board graphics card is still the main display card. If your server is set to use the external or extended graphics card as the main one – you won’t be able to see anything on the console, or on the iLO card for remote management. This needs to be copied to the root folder of the server using WinSCP or similar tool. Once installed, the XenCentre tools should show a new tab for GPU. RAM – Make sure your server is fully loaded with as much RAM as you can get. If you’re running a CAD application like Auto-Desk or Creo you’re going to need a minimum of 16 Gb per Windows 7/8 virtual PC. If you need more per PC, you won’t be long running low on resources. In deploying an initial server for a proof-of-concept, I limited the number of users to six. After building the OS, and installing the NVidia drivers, you then install the XenTools as normal and you’re ready to install whatever software you need. I left this to the customer to do while I created the Machine Catalogs and Delivery groups in Desktop Studio. Along with experience and academic qualifications – product certification is essential for systems engineers AND software engineers in the modern IT world. I have worked a lot with Microsoft, Citrix and VMware in their partner programs over the last ten years for my company, for both individual staff requirements and partner status. The latest Citrix certifications focus on XenDesktop/XenApp design, deployment and management. You can get certified on most of the Citrix product line but its best to start with products you work with every day, have just been trained on or are targeting a new career path. Starting at the bottom, Citrix Certified Associate – Virtualization covers XenApp/Desktop, some licensing and basic deployment. You can then add a few more separate exams for enterprise management, basic NetScaler and work towards the high end exam for Citrix Certified Professional (CCP-V) and Expert (CCE-V). Most recent additions are the Citrix Certified Professional – Mobility (CCP-M) which covers XenMobile design and deployment. Throughout my career I have had to do certifications for PC’s, server operating systems and especially Citrix products, as well as mentor younger staff and colleagues and point them down the right certification track for their career development. In the last ten years for example, I have completed forty certifications. Some have expired, and some are very recent such as CCP-M, CCP-V. I would not be in my current job, earning a good salary if I had not kept my certifications up to date. The disadvantages of certification are few. You will need to spend time, usually your own, studying and installing products, following training guides and best practice papers in order to pass any exams. You may not always get on a training course. Passing the exams also requires a certain amount of determination and calmness, along with exam technique. A training course, if you need one is usually not free – and exams cost between £100 and £250 in the UK. Another disadvantage is that certifications expire, hence it is important to keep up to date. To do this, you should target 2-3 exams per year as a minimum. That way, you will be refreshing exams every year, gaining new knowledge and keeping ahead. The advantages are plenty. For one, you will gain more in depth knowledge of the products and maybe one or two products you don’t use if you are following a “track” system like Citrix and Microsoft’s where you must complete 5-6 exams to become a Citrix CCP-V, or Microsoft Certified Professional Developer , MCPD. A typical “track” may take you down the MCPD :“Design and Development of Web Applications in .NET Framework” for example. If you’re considering a Citrix path – start with a single product like XenApp server, then XenDesktop. You can then try the enterprise exams and work your way towards CCV-E and CCP-V for Virtualisation. Most partner companies will also provide study guides, access on online training and videos and special partner programs with a specialist contact that can assist you and your team with certifications in their “tracks”. You may even get exam vouchers. There are many good exam preparation books availably, study guides and “brain dumps”. I often recommend http://www.citrixxperience.com. Microsoft, Adobe and others are constantly updating products, and often require certification in order for your company to sell the new products or retain your status. This may mean that a team of developers may need to have 10-15 certifications as a minimum just for the company to be a Gold Partner. In a few years, this may change and a new product release will force an update to the certifications. When applying for jobs, a person with certifications will almost certainly be in with a better chance of employment than a person without. Your current employer should also recognize your studying and reward you financially. Indeed, your whole career path should be based on experience, project success, work competence – and your certifications. When I interview for staff – I also think the person with more certifications is more interested in their career, in IT and in developing themselves than someone who hasn’t bothered. If you are really “into” IT – you will be keen to get certified in products you are working with. Product certification is essential for the employer. Partner status with Microsoft come in different levels –Core,Silver,Gold etc. These are partly based on sales, but also on the number of certified engineers or developers you have. This in turn can impact your companies’ discount purchasing and reselling in the supply chain. You may also be given sales leads, and involvement in new product releases ahead of non-certified companies. Partners often get free partner licenses. This not only saves your company money, but gives them access to nearly all the partners’ products for free, as well as getting beta releases and access to software “api”’ that non-partners won’t get access to. Partner status is an important status symbol. Potential customers will compare company certifications and individual CV’s to award contracts. Certifications for staff could make the difference between your company winning the business – or closing down! I don’t see too many areas where certification is not possible. You can be certified in developing, Prince II, Ethical Hacking, security, HP hardware, EMC storage, VMware, Citrix,ITIL, ISO Auditing – the list is almost endless. The one area you can’t be certified in is your own communications skills, personal interaction, and ability to talk to customers and present your solutions. This really comes with experience and practice – so get some colleagues together and practice on them to hone your presentation skills. Certification is not a replacement for great experience, but in my opinion is essential for IT staff, engineers and developers alike – if they want to progress their career, keep skills up to date and be regarded as subject matter experts in their field or specialist area. Having both, means you know the products in depth. In terms of actually doing exams, these are typically done in exam centers with monitored rooms in industry approved organisations. Pearson-View and Sylvan Prometric are two such companies, and will have an office or training partner in most countries and big cities. Individual product exams typically have about 60 multiple choice questions. The Citrix Professional and Expert have a split of about 30 multiple choice and the rest are based on a scenario or analysis report and you then have to make choices, and backup your design. Good luck!